Rick is one of the founders of Medical Aid to Haiti and the President. 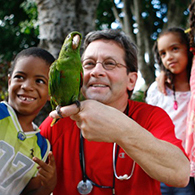 In 2009, Rick went on a medical mission as a volunteer for an organization that was providing much-needed healthcare to communities whose people rarely received organized care. Like most first time visitors to Haiti, he experienced sensory overload shortly after his arrival there. The poverty, overcrowding, noise, filth – even the smell – all contributed to what he sums up as desperation. Rick’s role, as the sole non-medical person the team, was to help organize the clinics that they conducted at various sites in and around Port-au-Prince. The trip was arranged on a shoestring budget, yet they were able to provide basic healthcare services, including medication, to more than 500 people during that week. Rick left for home with the uneasy knowledge that the patients we had treated, and the sites our clinic visited, would have to do without medical attention until we returned. Their need fueled Rick’s desire to do more, and it gave birth to Medical Aid To Haiti, Inc. (MATH). Rick is a graduate of St. Michael’s College with a Bachelor of Arts in Business Administration. He owned AW Direct, Inc from 1981-2005 and sold it to Grainger Corporation. Rick currently owns and operates Ray-Jurgen Company, a vehicle service equipment supplier based in Bristol, CT. Rick and his wife live in West Hartford, CT and have two grown daughters. Anne first visited Haiti in 2014 and saw the dire living conditions and lack of basic medical care available to the people of Port-au-Prince. 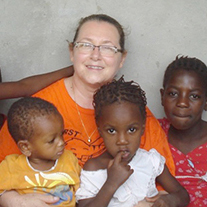 Although non-medical, she joined the MATH Board and brings organizational and problem-solving skills in hopes of contributing to the board’s mission of helping Haitians heal Haitians. Anne graduated from the University of Hartford with a BS in Electronics Engineering Technology and Rensselaer at Hartford with an MS in Metallurgy. She spent 39 years in the aerospace industry and travelled extensively to places around the globe. She also is a member on the Board of the Haitian Humanitarian Network, which supports a small medical clinic in Beaulieu, Haiti. In her retirement, she is on the Institutional Review Board for patient advocacy in research projects at Saint Francis Hospital & Medical Center in Hartford, CT, and volunteers at Saint Francis and Mercy High School in Middletown, CT, her alma mater. She resides in Hartford and is proud to be Nana to five wonderful grandchildren in her extended family and aunt to several nieces and nephews. Mr. Chapman has a long history of charitable involvement. For more than 10 years he was a director, and for two years was a Vice Chairman, of the PKD Foundation, an international charitable organization devoted to finding treatments and a cure for Polycystic Kidney Disease. He has been a board member and its Treasurer for a number of years. John is an avid skier and golfer and enjoys spending time with his wife, Lorri, and their three children. 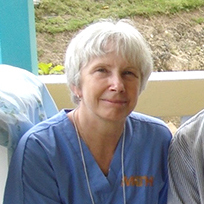 Shortly after the 2010 catastrophic earthquake in Haiti, Dr. Michael Bourque’s medical missionary team from International Medical Missions was invited to the village of Dame-Marie, a remote community on Haiti’s far west coast in need of help following a series of devastating hurricanes. Dr. Bourque, a senior OB/GYN at Saint Francis Hospital & Medical Center in Hartford, CT, led his team to restore a small operating room to working order in a 16-bed hospital building. Dr. Bourque’s ongoing missions, backed by St. Francis, include surgical and medical teams, pediatrics, obstetrics and primary care. He brings vast medical international mission expertise to Medical Aid to Haiti and has been recognized locally, nationally, and internationally for his service and dedication to the poor. Dr. Bourque is an Associate Clinical Professor at UCONN Medical School. He and his wife, Barbara, live in Farmington, CT where they have raised four children and many golden retrievers. Victor practices Law in Simsbury, CT at Dowling & Dowling. He is involved at St. Francis Hospital in Hartford as a Corporator and is a member of the Board of the St. Francis Foundation. Victor volunteers as a Eucharistic Minister at St. Francis Hospital, as well as at St. Timothy’s Church in West Hartford. Victor is on the Board of The Malta House of Care in Hartford and chairs the Nominating and Governance Committee, as well as assisting in the Malta Food Pantry. He is a Founding member of the Hartford area chapter of Legatus, a Catholic Business organization. He currently serves as Treasurer of both Knights of Columbus and Ancient Order of Hibernians. Victor is an avid runner, skier and scuba diver. He and his wife, Jody, reside in West Hartford, CT in the same home where they raised their four children. 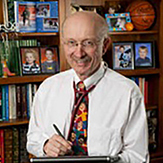 Dr. Gorin attended the University of Notre Dame for undergraduate training and received his medical degree in 1972 from the University of Connecticut School of Medicine. 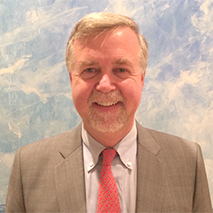 He completed his training in the pediatric residency program at Connecticut before moving to Maine and opening his own private practice, where he served for fifteen years. 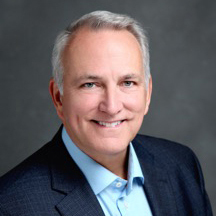 In 1990, Tom returned to Connecticut to work at the UCONN Student Health Service and four years later returned to private practice, joining Mansfield Pediatrics in Mansfield, CT, where he continues to practice today. Dr. Gorin started travelling to Haiti 1992 as a member of the Haiti Committee at St. Thomas Aquinas in Storrs, CT. Impressed with the spirit of the people he became a member of the Board of Haitian Ministries for the Norwich Diocese where he served for several years. It was from there that a small Saturday morning clinic at the Norwich Mission House in Port-au-Prince led to medical mission trips sponsored by Haitian Ministries and then later inspired the creation of MATH. Dr. Gorin is also a member on the Board of the Haitian Humanitarian Network, which built and supports a small medical clinic on the south coast of Haiti, and continues to work with Friends of l’École AGAPÊ aiding a Haitian elementary school and providing for those who cannot afford public education. He lives with his wife, Ginnie, in Storrs, CT, where two of their three children and three grandchildren also reside. Tom enjoys following his grandsons to their soccer and hockey games, as well as being a UCONN Husky fan. Jim joined the MATH board in 2015 and is delighted to be part of the MATH community. 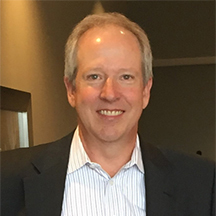 Jim is a CPA and currently works for UnitedHealthcare as a vice president on the National Accounts Strategic Initiatives team. His background is well suited for serving MATH on both the Finance and Development committees. Earlier in his life, Jim joined numerous missions sponsored by the Glenmary Home Missionaries to assist the needs of people living in poverty throughout Appalachia. Time passed quickly since Jim’s last Glenmary trip while he focused on raising his family and developing his career. Jim’s fond memory of his experience in Appalachia is the motivation that led him to join MATH and embrace its commitment to serving the poor in Haiti. He also believes that he can leverage his experience working in healthcare for more than 25 years to help MATH work to create a reliable, consistent and sustainable healthcare system in Haiti. Jim is inspired by the actions of his late father who, among many other things, supported the people of Kasana-Luweero, Uganda, building a water tank for their village in 2012 to stem the spread of diseases from unsafe water and a lack of basic sanitation. Jim and his wife Patty love spending time with family and friends, weekends at the beach, and traveling. Together they have five grown children. Maggie recalls the specific moment at the age of 14 when the future as a Peace Corps volunteer (or nun) working in Africa flashed before her eyes. Years later and working as a nurse, an invitation to visit Haiti from her parish priest during mass connected with her 14 year old inner self, and her husband of 18 years leaned over and said, “You ARE going, aren’t you?,” and she said, “Yes, of course”. Maggie is a registered nurse working in the Emergency Department at Saint Francis Hospital and Medical Center in Hartford, CT. She graduated from Northeastern University with a degree in Nursing. Ms. Musilli is an attorney. She is a graduate of Barnard College at Columbia University and Fordham School of Law. She has spent many years working for prominent law firms in New York and Boston. Giuliana is very philanthropic and is involved in many charitable organizations. 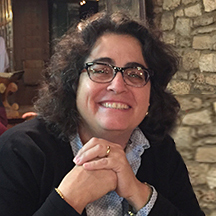 She is the Recent Past President of the Renbrook School Parent Organization and the Parent Admission Network Liaison. She is also a member of the Board of Trustees of Literacy Volunteers of Greater Hartford (CT) and the Greater Hartford Larrabee Fund Association, and the Task Force Chairperson for the Goodwin Estate Development Task Force. Ms. Musilli is fluent in French and Italian.